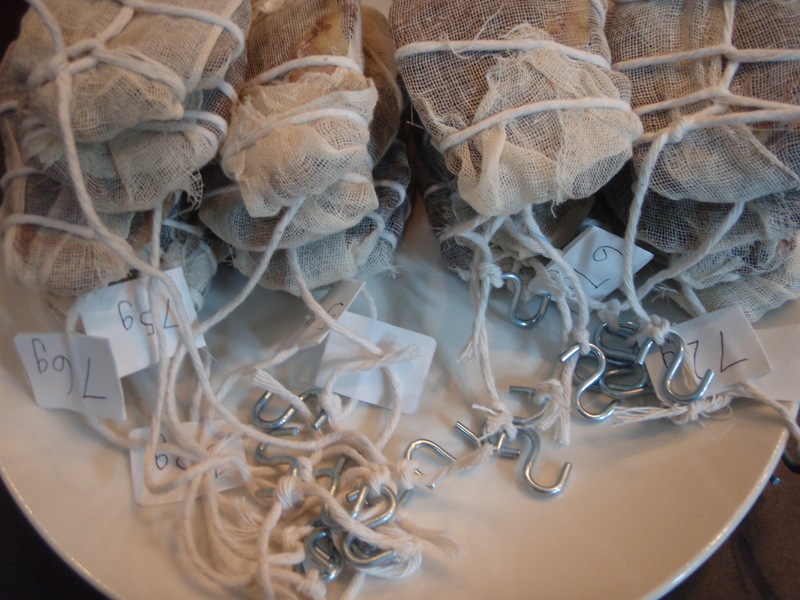 Well, the great duck charcuterie experiment begins. After many versions of smoked wild duck, each tilting more and more toward a prosciutto-type texture and flavor, I decided to get serious and do it right. And I was inspired by the homemade duck prosciutto my friend YC served when I was visiting a couple weeks ago. It was mind blowing. 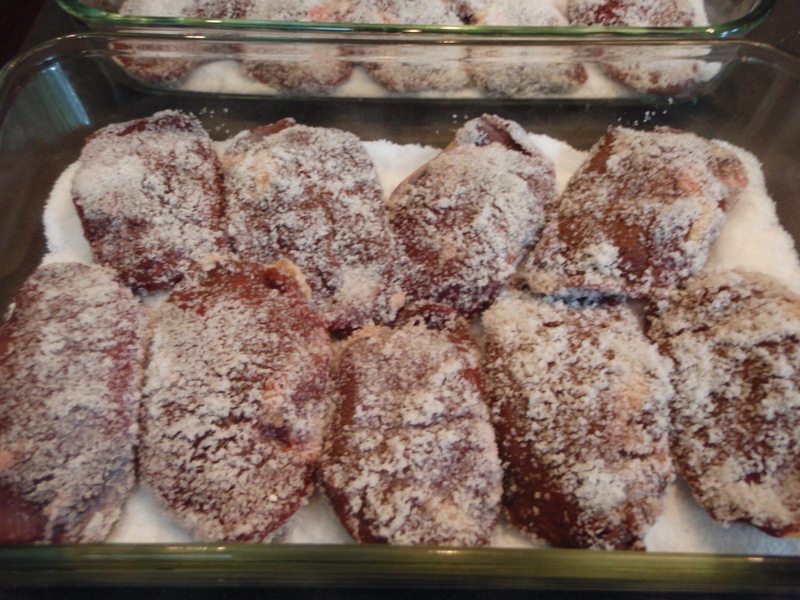 In the picture above, the duck is about to be buried in kosher salt for a 24-hour dry brine. Today, we rinsed the salt off and, wanting to add a bit of smoky flavor, I hit the duck with about 45 minutes of cold alder smoke. 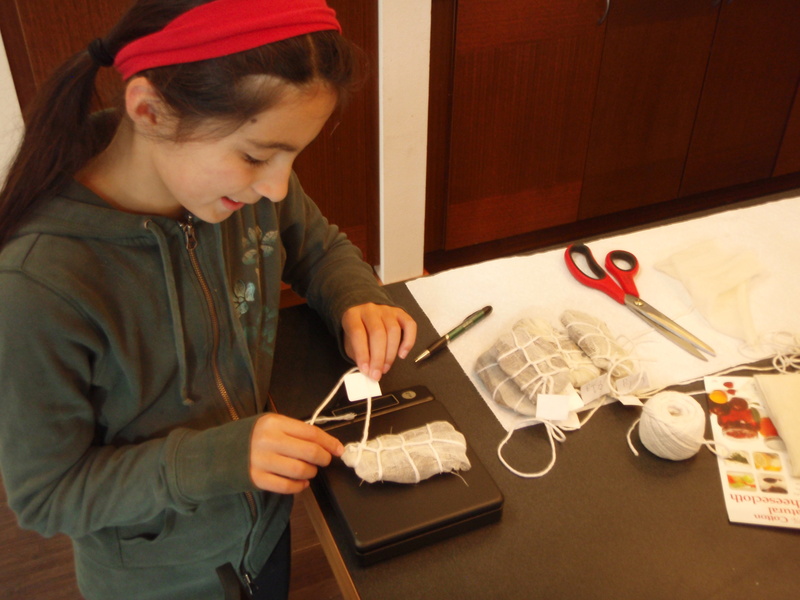 Then Skyla and I wrapped and tied each little package (they already smell awesome), then weighed them so we can measure the moisture loss as they dry. From what I understand, we’re looking for 30% to 40% weight loss. Here’s the whole pile, all ready to air cure. After much internal debate, I decided to hang the duck in the shop–the slab floor keeps the temperature relatively stable at around 50 degrees this time of year, and there’s a little more humidity than the bone-dry fridge. Still seems a little weird to just hang meat in an unrefrigerated room, but we’re going for it. Will update as the process continues.